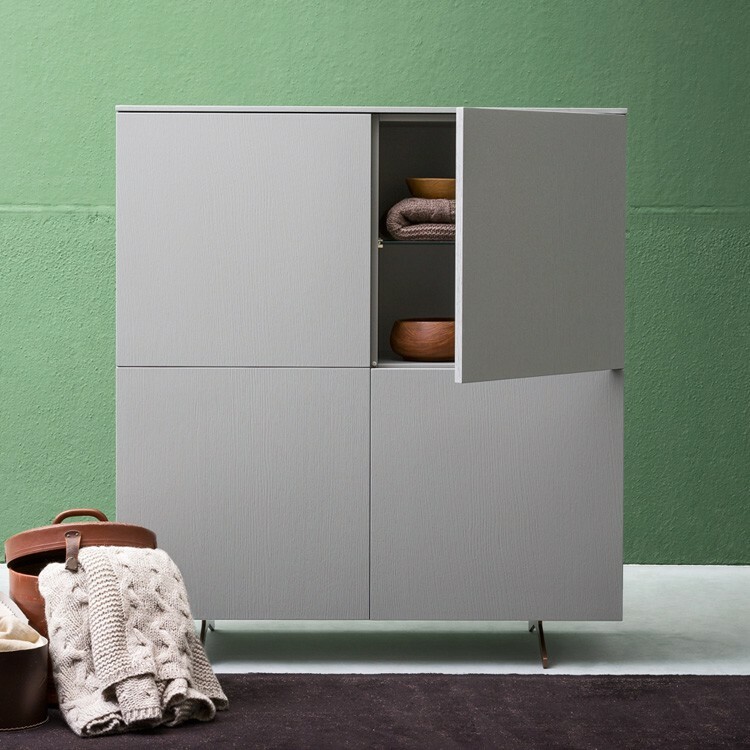 Nobel is a minimailstic contemporary cabinet on painted metal feet (copper or iron color), featuring four doors (one shelf per compartment) with push/pull opening mechanism. The doors and main body are available in matt colors (painted with/without the wood grain visible), fashion oak (wood stains) or high gloss colors. If you select doors/body in matt or glossy colors the interior is matching, if you select the visible grain or fashion wood the interior is dove gray. Matching sideboard below.